Clark Nexsen served as Architect of Record and the civil, MEP, and structural engineer for this award-winning project. 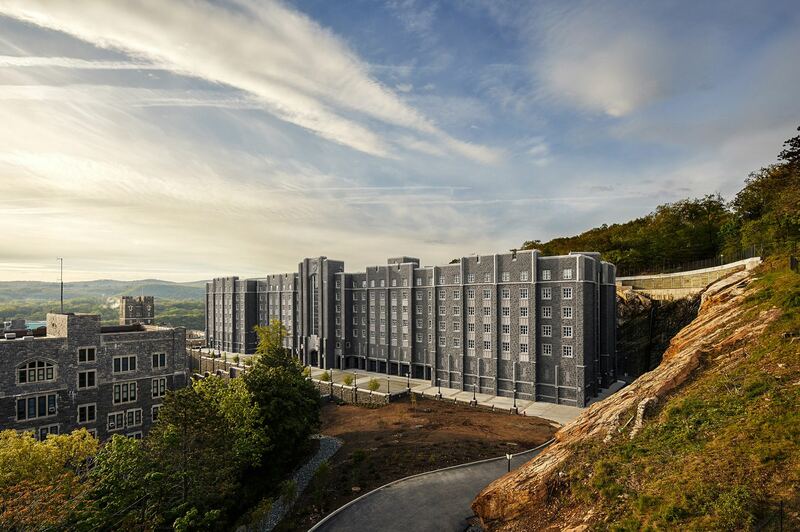 VIRGINIA BEACH, Va. - Jan. 18, 2019 - PRLog -- Davis Barracks at the U.S. Military Academy at West Point has been named a 2018 "Best of the Best" project in Engineering News Record's national competition. The project was selected by a panel of industry judges and the ENR editorial team who identified "the pinnacle of design and construction achievement in the entire U.S. among projects completed between May 2017 and May 2018." Davis Barracks was recognized in the Residential/Hospitality Category. Previously, Davis Barracks was named a 2018 ENR New York Best Project, tying in the Residential/Hospitality category for the honor with Zaha Hadid's 520 W. 28th St. building in Manhattan. Following the regional awards, all Best Project winners were put into a pool to be judged again to select one national "Best of the Best" winner in each category. The panel of judges commented, "We were impressed by the level of craftsmanship required to achieve the gothic military design needed to maintain West Point's designation as a National Historic Landmark." The six-story, 287,000 square foot Davis Barracks established a new standard of excellence at West Point. The building design notably fits in alongside the school's iconic Gothic Revival style, using stone cladding over concrete for longevity and low maintenance. The granite façade's is comprised of 167,901 numbered and modeled pieces, delivered to the site in sequence to aid in erection. The original site between two roads on a steep hillside in West Point's Central Post presented considerable challenges. A level site was accomplished through blasting and drilling to remove more than 60 vertical feet of rock over 132 feet of grade change. The project also required 150,000 tons of rock excavation. While its exterior aligns with the historic context, Davis Barracks looks to the feature in supporting West Point's goal for a net zero energy campus. Innovative engineering systems are estimated to reduce energy consumption more than 50.1% below a building of similar type and use. The facility features 100% solar-heated domestic hot water, and automated controls to assure performance. See the full list of ENR 2018 "Best of the Best" Project award winners.